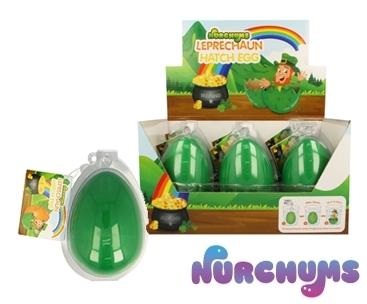 Hatch your very own Irish Leprechaun and search for gold at the end of the rainbow with your new growing friend. Submerge the egg in fresh water and watch as the shell cracks open in a few days! 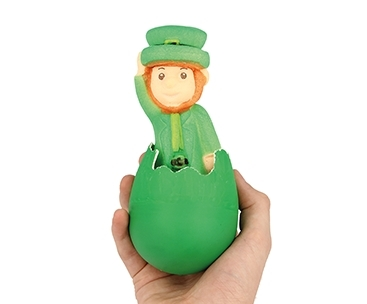 Keep the Leprechaun fully submerged for up to two weeks to fully expand the toy. 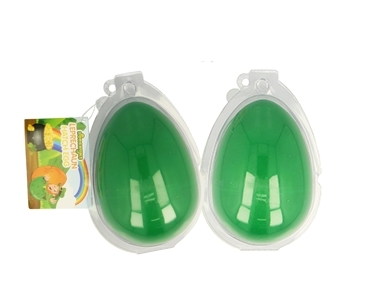 A great gift for St. Patricks Day 17th March. 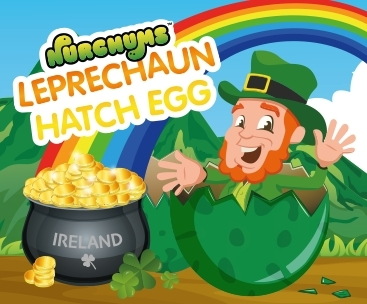 Learn more about Nurchums Leprechaun Hatching Eggs. 4 Leprechaun characters to collect!